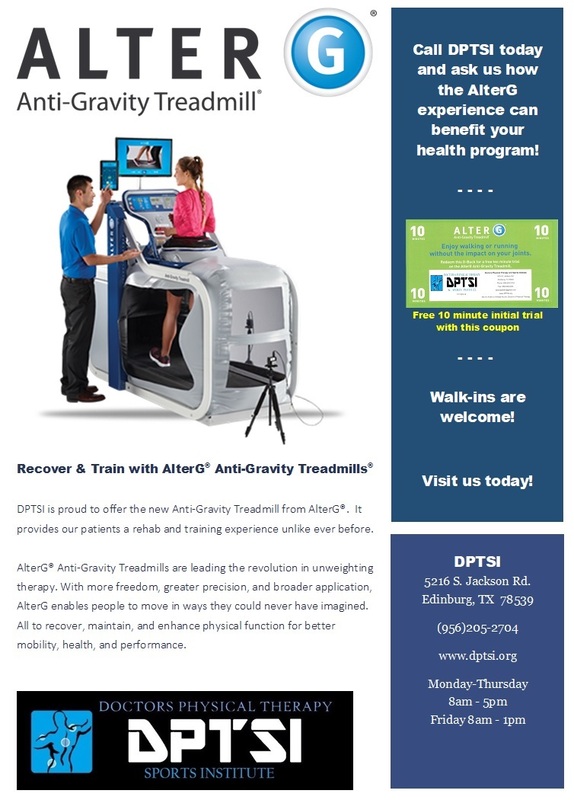 DPTSI is proud to offer the new AlterG® Anti-Gravity Treadmill featuring Stride Smart™ Gait Analytics & Video Monitoring. 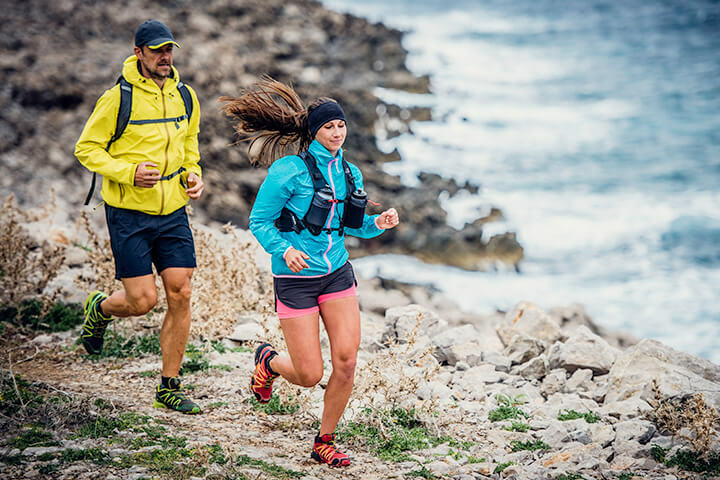 AlterG® builds life-changing technology that is reinventing physical rehabilitation and training with the goal of enabling people to sustain healthy and active lives through mobility. The innovative Anti-Gravity Treadmills® are designed to enhance rehab and training for everyone, from professional athletes to seniors to children. It provides our patients a rehab and training experience unlike ever before. Using NASA-developed Differential Air Pressure (DAP) technology, gentle lifting forces are applied using air to unweight patients to as little as 20% of their bodyweight. This procecss enables a precise adjustable reduction in impact and gravitational forces while walking, running, or during closed-kinetic chain exercise. 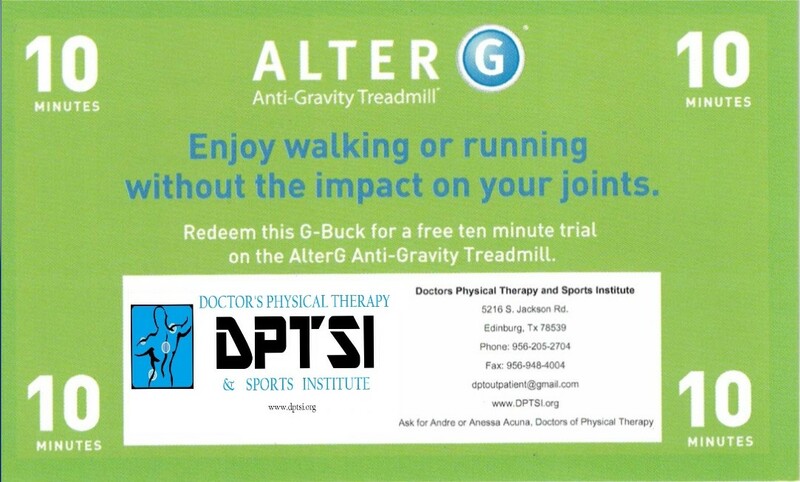 DPTSI offers the latest and most innovative technology from AlterG with Stridesmart. Get instant feedback to achieve better results by leveraging AlterG’s new video monitoring, data interface and customizable workouts. Prevent bad habits or future injuries by seeing and correcting deficiencies in real time. 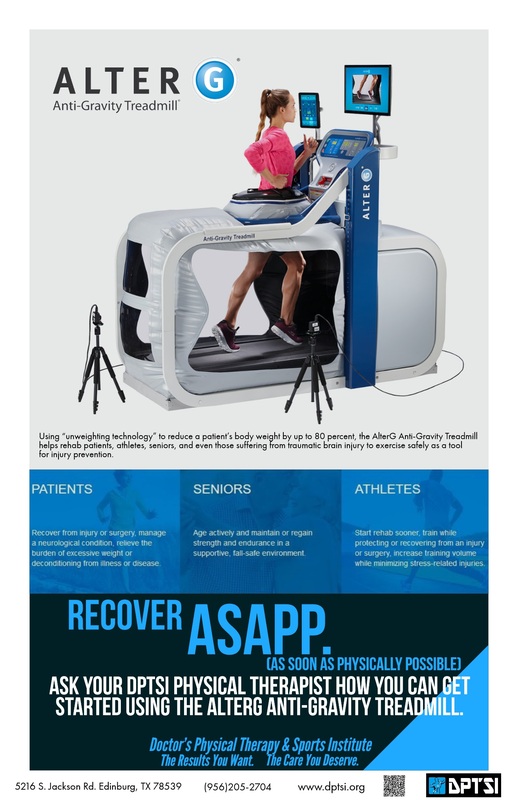 Amplify the power of AlterG® Anti-Gravity Treadmill® precision unweighting therapy with Stride Smart Gait Analytics and the Digital Video Monitoring System (Digital VMS). With Stride Smart, you get powerful, simplified, real-time gait mechanics data. 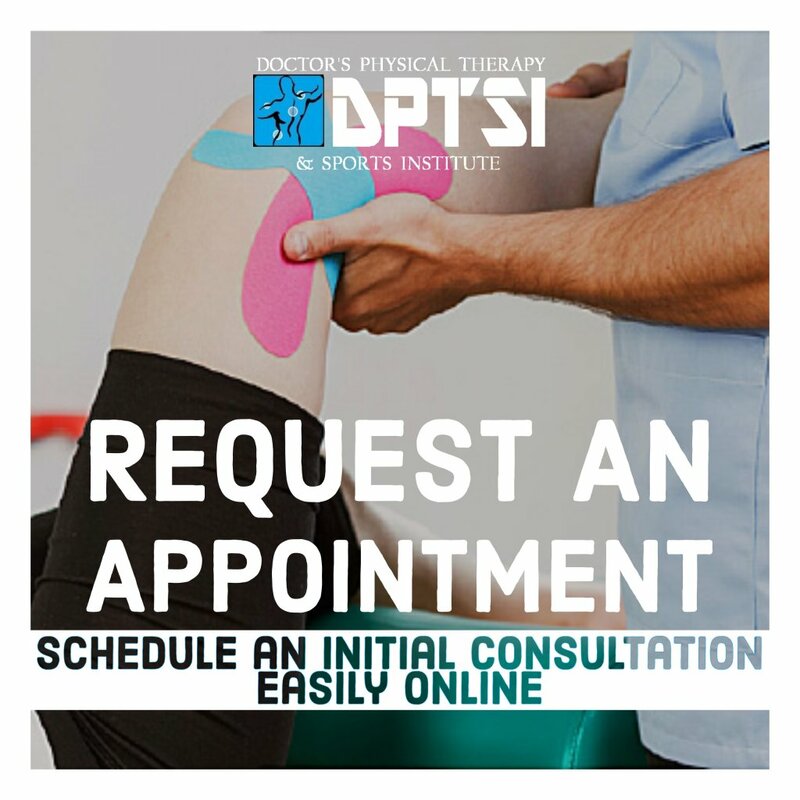 So you can achieve optimal results in your rehab programs. Stride Smart is intuitive, it’s engaging, it’s collaborative, and it’s designed for smarter therapy. Digital VMS gives patients or athletes instant visual feedback, helping them see abnormalities they may not feel in motion. 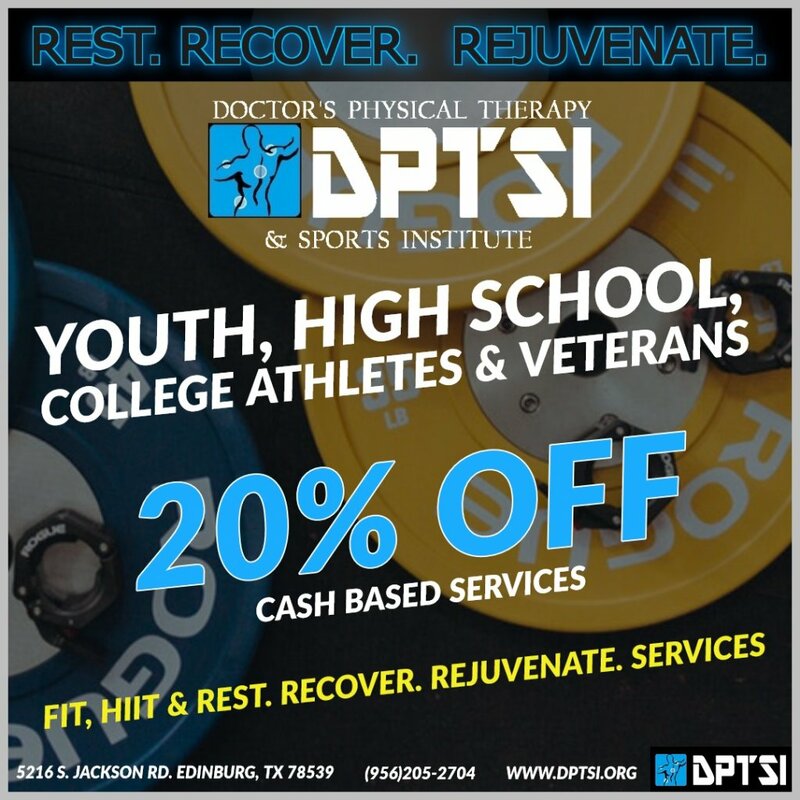 So you can work better and get more from your rehab and training programs. AlterG® allows you to achieve your goals sooner and smarter. Olympic training centers, and sports science facilities around the world. Unweights you from 100% to as low as 20% of your body weight in precise 1% increments for low-impact, pain-free movement. Supports normal gait mechanics and avoids development of compensatory strategies – unlike conventional body weight support alternatives such as hydrotherapy. Real-time gait data and video monitoring help you use visual feedback to get better results faster. 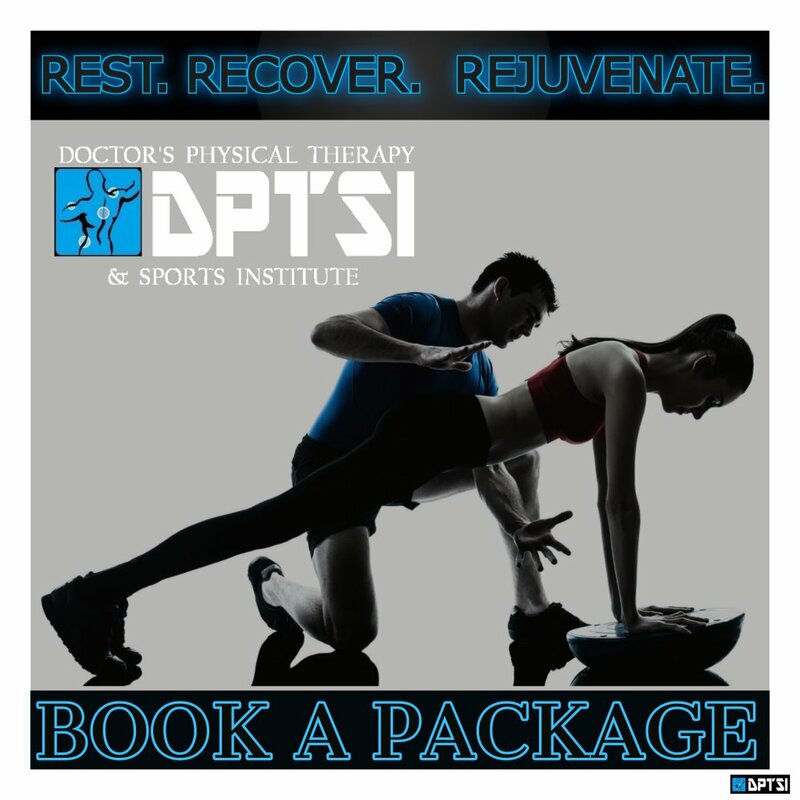 •Limit downtime by enabling training through injuries and return to sport in better condition. •Increase training volume while minimizing stress-related injury. •Utilize objective data to measure progress and increase motivation. •Empower patients to move pain-free again. •Begin weight-bearing exercise sooner while protecting sensitive healing tissues. •Encourage range of motion, shown to improve outcomes. •Support unimpeded, normalized gait mechanics. •Reduce gravitational forces to help maintain – or regain – healthy conditioning. •Support motor learning in a fall-safe environment. •Enable functional activity and task-specific training. •Provide support in a controlled setting for static and dynamic standing practice to work on balance, control, & strength. 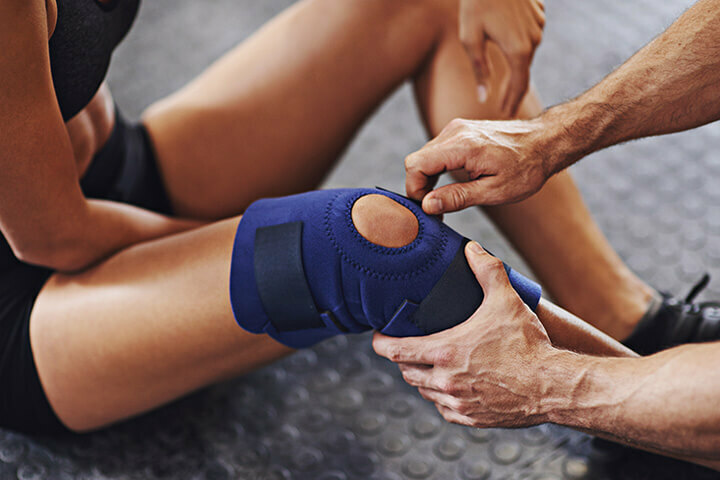 AlterG products are found in thousands of leading sports and physical rehabilitation facilities worldwide. The world’s best athletes and sports teams are training with the AlterG® Anti-Gravity Treadmill® to maximize their performance. The AlterG Anti-Gravity Treadmill is being used by 29 NFL, 27 NBA, 23 MLB, 3 NHL, and 3 MLS teams along with 116 Universities and Colleges, including 7 Division II, 7 Division III, and 1 community college. The Anti-Gravity Treadmill is also used in 5 US Olympic Training Centers. 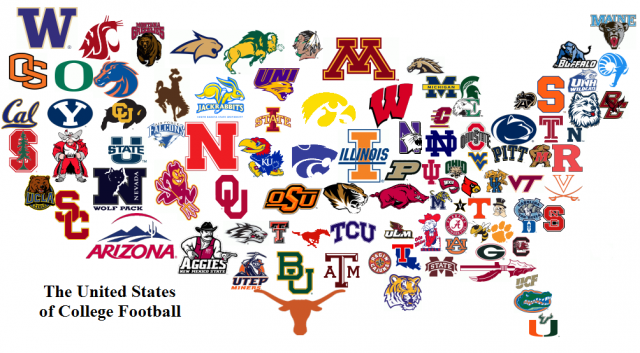 The best collegiate and professional athletic teams are defying gravity to up their game. Michigan Medicine’s MedSport offers runners of all types state-of-the-art training and rehabilitation care. Alter-G is the newest addition to their treatment options. Originally used by professional athletes and astronauts, Alter-G is an anti-gravity treadmill that can be used in physical therapy by controlling joint loading or as an adjunct to typical training as a way to gain extra miles with reduced impact loading. Adam Goucher, US Olympian and 10 time National Champion in Cross Country & Track talks about the AlterG. Prior to the 2006 World Cross Country Championships, he improved his cardiovascular fitness by running an extra 25-30 miles using the AlterG sports treadmill. Adam eventually placed 6th in the world at the Championships! 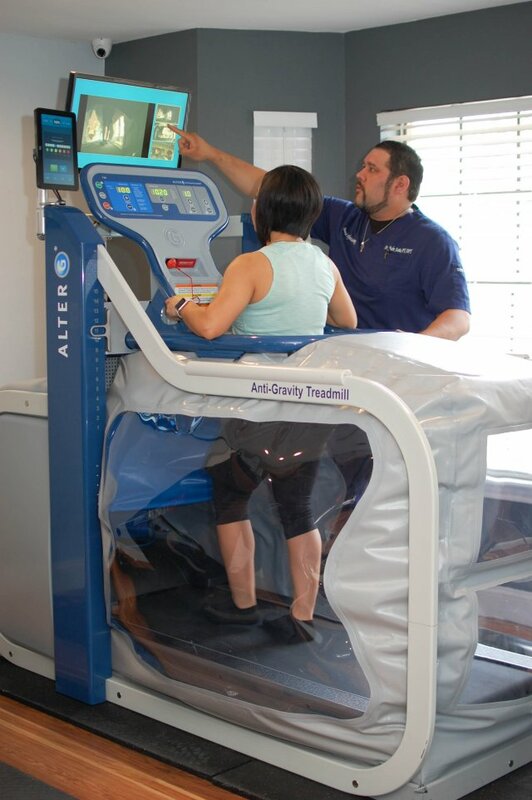 AlterG's Antigravity Treadmill is ideal for cardiac rehabilitation and physical therapy exercise. 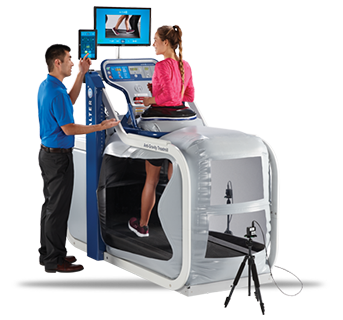 The AlterG Antigravity Treadmill is featured in Nike's Kara Goucher commercial. Believe in Yourself. Believe in the Run. Alter G Anti-gravity Treadmill in Optimal Therapies at MRU is being used for athlete and rehab applications.